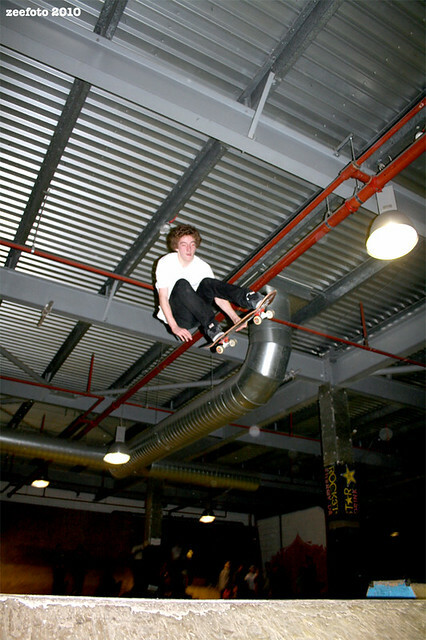 Honorable mention to Rowan who at a very tender age was making inverts. 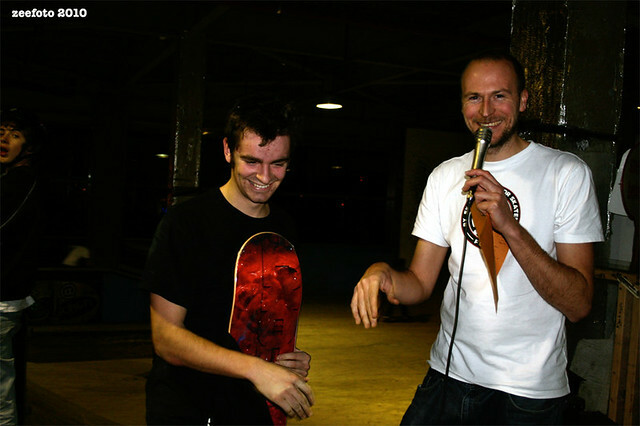 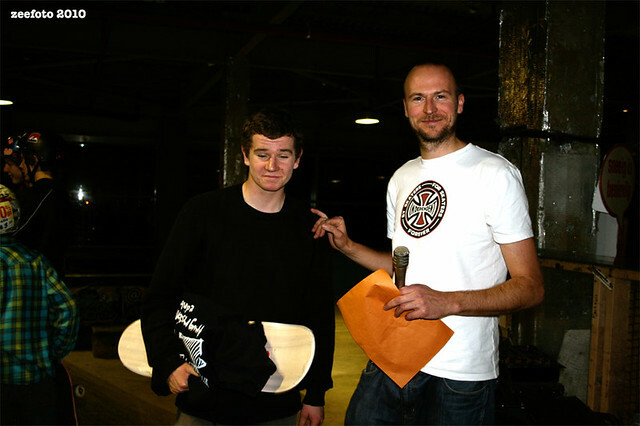 As well as the above mentioned two age group comps for product, Skateboard Scotland donated about 250 quid (all of the takings from the door and and wee donation from the kitty) to the comp for 3 best trick comps. 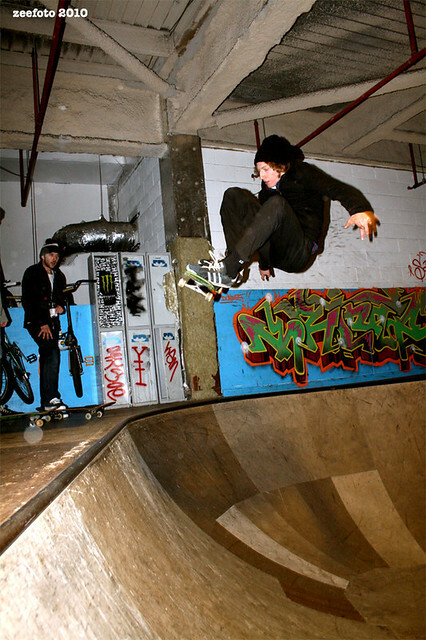 We kicked off the best tricks over the BMX jump and on the vert (almost) wall as you come in. 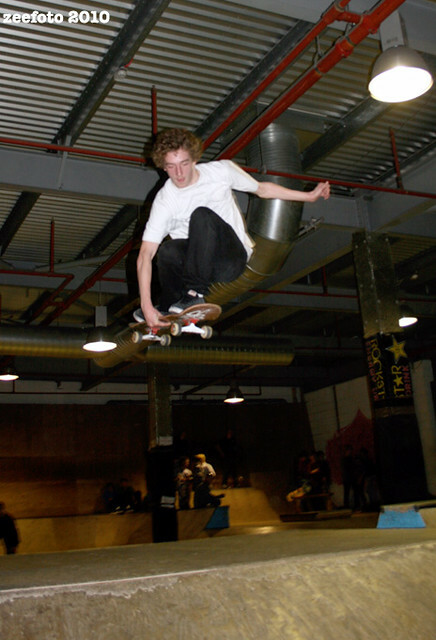 Winners of ten pound notes included Kieran with some orbital launching over the fun box along with a nose grab smith stall on the large wall. 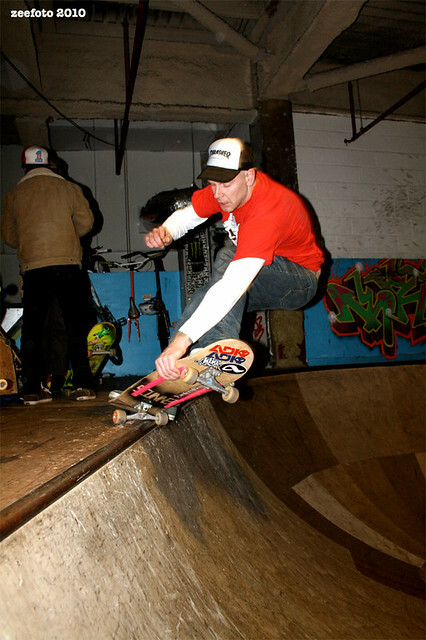 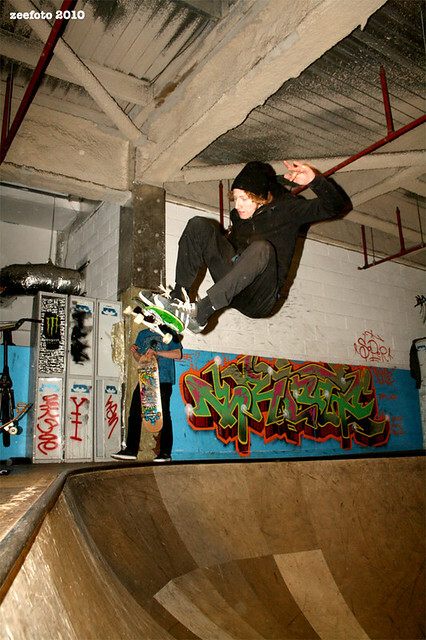 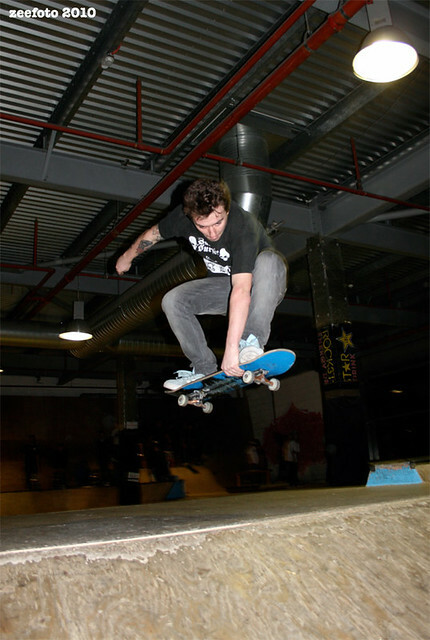 Martin made a feeble stall to fakie on the big wall and t-bag and ruairh were flying over the jump with ease as usual. 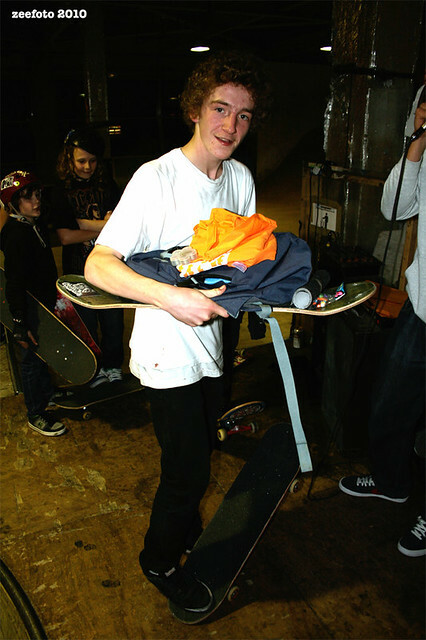 We then moved onto the street section where some dude from Inverness called Robbie cleaned up making a 360 flip over the fun box to name a few. 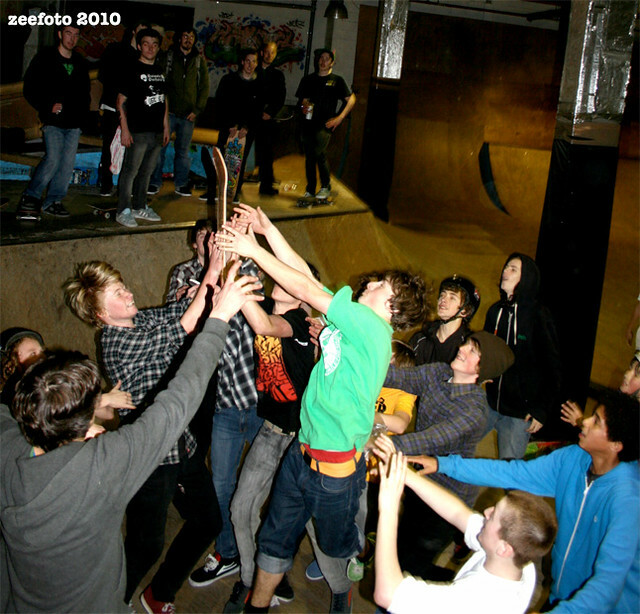 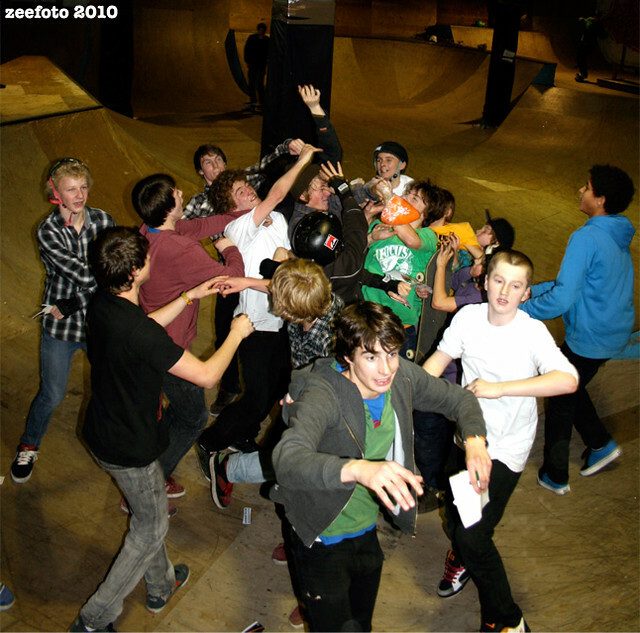 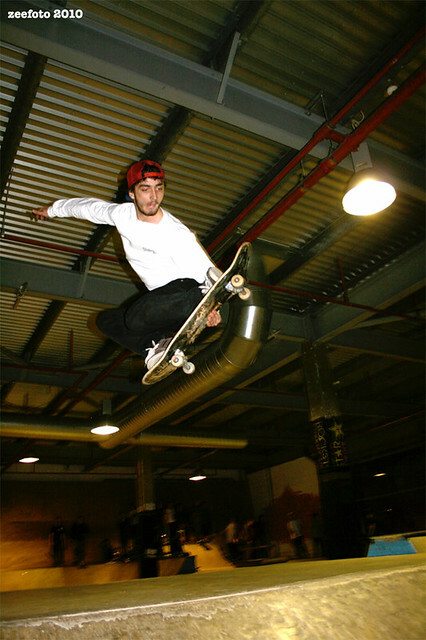 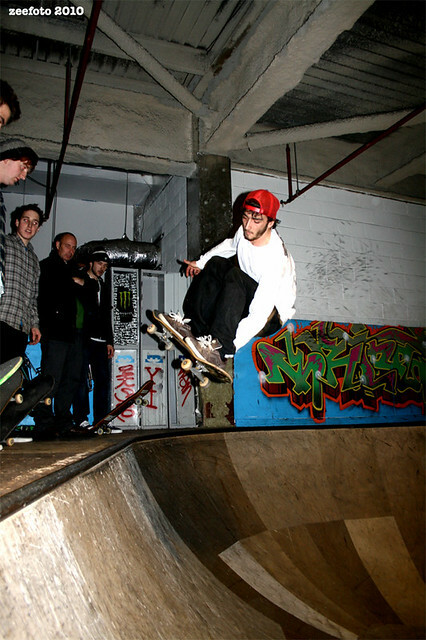 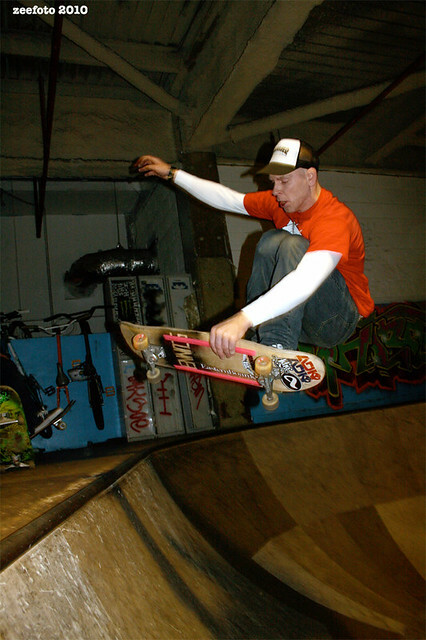 Once the street sesh was over it was onto the finale in the big half pipe in the corner. 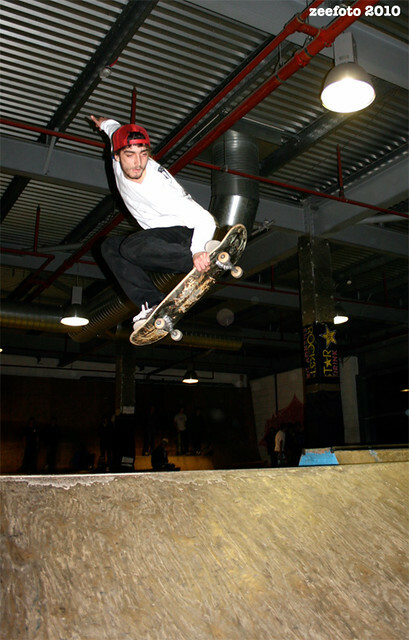 Paris shut this comp down with some ridiculous runs including all manner of reverts. 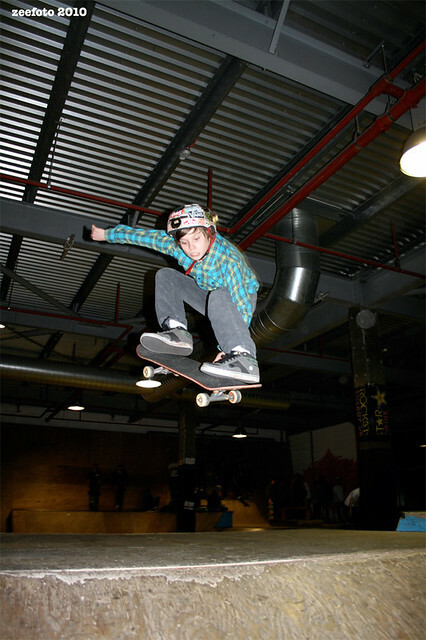 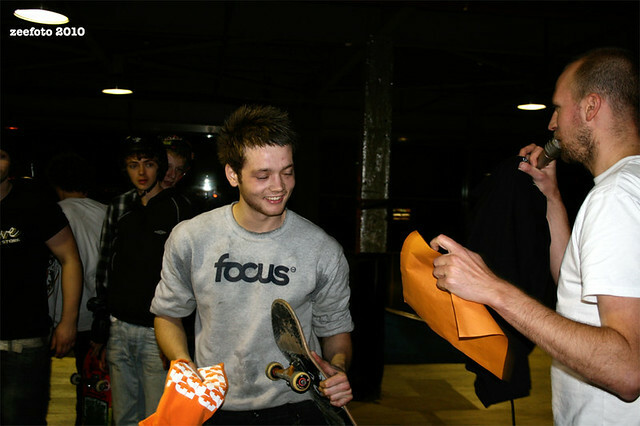 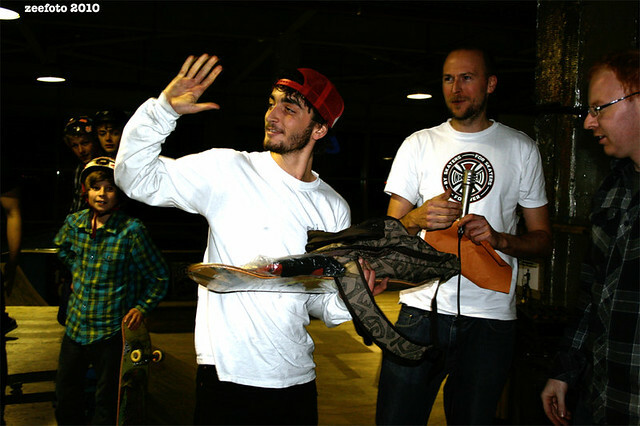 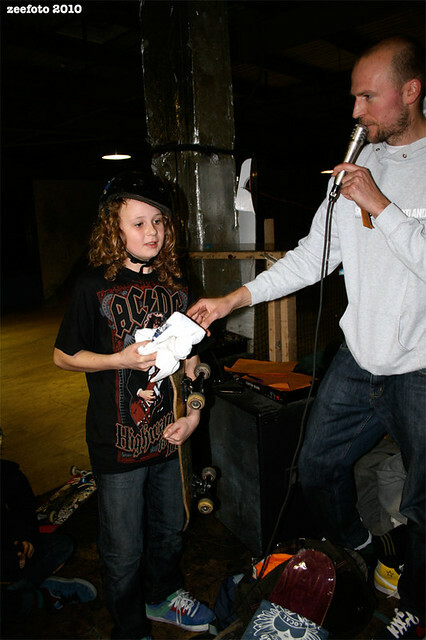 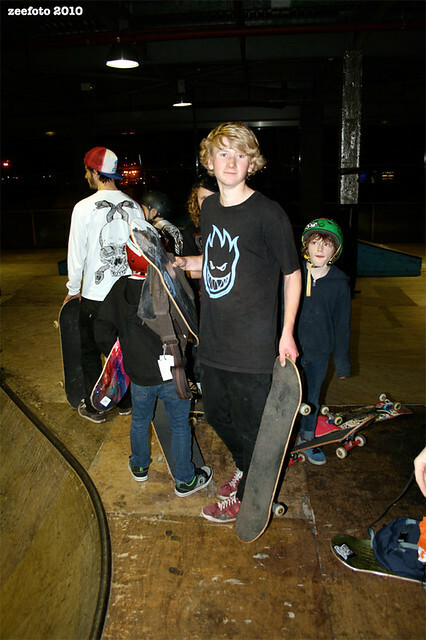 He so should of been at the mini ramp champs this year. 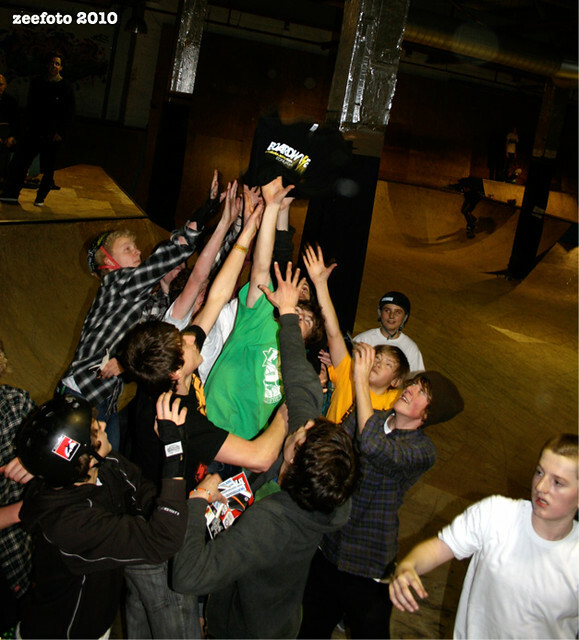 Shezz also flew way out of the ramp and gained himself a tenner for his troubles. 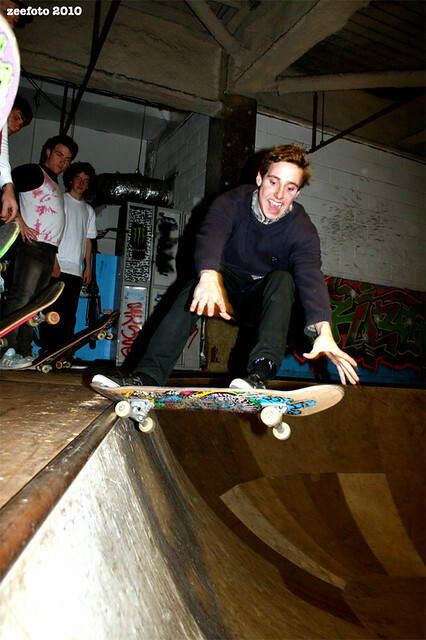 Dunder’s backside smiths also deserve a mention here as they look so good. 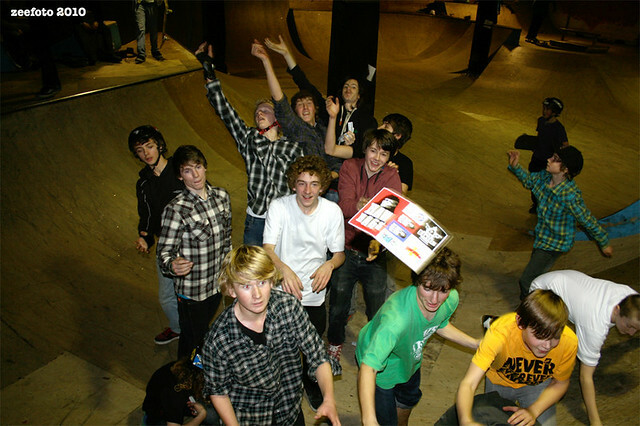 In summary we all had a good time. 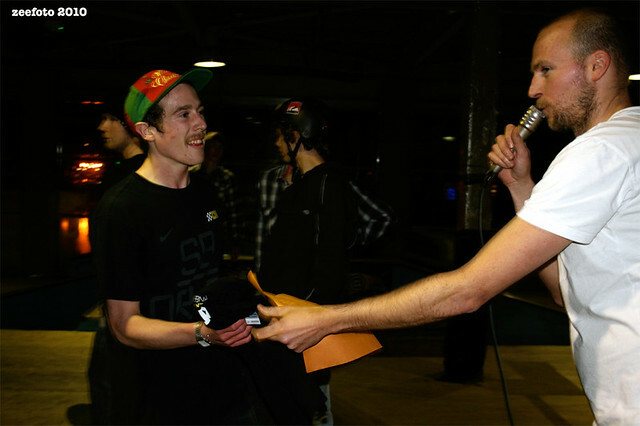 Looking forward to the next comp already.